A statue of the Sakyamuni Buddha in Tawang Gompa, India. Buddhism is often described as a religion and a collection of various philosophies, based initially on the teachings of Siddhartha Gautama, known as Gautama Buddha. For a more extensive description, see Gautama Buddha. Gautama, deeply depressed by these sights, sought to overcome old age, illness, and death by living the life of an ascetic. Gautama escaped his palace, leaving behind this royal life to become a mendicant. For a time on his spiritual quest, Buddha "experimented with extreme asceticism, which at that time was seen as a powerful spiritual practice...such as fasting, holding the breath, and exposure of the body to pain...he found, however, that these ascetic practices brought no genuine spiritual benefits and in fact, being based on self-hatred, that they were counterproductive." After abandoning asceticism and concentrating instead upon meditation and Anapanasati (awareness of breathing in and out), Gautama is said to have discovered what Buddhists call the Middle Way—a path of moderation that lies mid-way between the extremes of self-indulgence and self-mortification. He accepted a little milk and rice pudding from a village girl and then, sitting under a pipal tree or Sacred fig, (Ficus religiosa), now known as the Bodhi tree in Bodh Gaya, he vowed never to arise until he had found the Truth. His five companions, believing that he had abandoned his search and become undisciplined, left. After 49 days meditating, at the age of 35, he attained bodhi, also known as "Awakening" or "Enlightenment" in the West. After his attainment of bodhi he was known as Buddha or Gautama Buddha and spent the rest of his life teaching his insights (Dharma). According to scholars, he lived around the fifth century BCE, but his more exact birthdate is open to debate. He died around the age of 80 in Kushinagara (Pali Kusinara) (India). The original teachings and monastic organization established by Buddha have been referred to as pre-sectarian Buddhism, but all the current divisions within Buddhism are too much influenced by later history to warrant inclusion under this name. The most frequently used classification of present-day Buddhism among scholars divides present-day adherents into the following three traditions or geographical or cultural areas: Theravada, East Asian Buddhism and Tibetan Buddhism. An alternative scheme used by some scholars Some scholars use other schemes. Buddhists themselves have a variety of other schemes. Buddhism had become virtually extinct in India, and although it continued to in surrounding countries, its influence was no longer expanding. It is now again gaining strength. While estimates of the number of Buddhist followers range from 230 to 500 million worldwide, most estimates are around 350 million, or 310 million. However, estimates are uncertain for several countries. According to one analysis, Buddhism is the fourth-largest religion in the world behind Christianity, Islam, and Hinduism. The monks' order (Sangha), which began during the lifetime of the Buddha in India, is among the oldest organizations on earth. Theravāda Buddhism, using Pāli as its scriptural language, is the dominant form of Buddhism in Cambodia, Laos, Thailand, Sri Lanka, and Burma. Also the Dalit Buddhist movement in India (inspired by B. R. Ambedkar) practices Theravada. East Asian forms of Mahayana Buddhism that use scriptures in Chinese are dominant in most of China, Japan, Korea, Taiwan, Singapore and Vietnam as well as within Chinese and Japanese communities within Indochina, Southeast Asia and the West. Tibetan Buddhism, using the Tibetan language, is found in the ethnically Tibetan-dominant regions of China and the surrounding areas in India, Bhutan, Mongolia, Nepal, and the Russian Federation. Most Buddhist groups in the West are at least nominally affiliated to some eastern tradition listed above. An exception is the Friends of the Western Buddhist Order, though they can be considered Mahayanist in a broad sense. Other teachings can be found in the sections below on early Buddhsim and the main traditions, and also in separate articles on Zen, Pure Land, Nichiren, Shingon and Falun Gong. In Theravada Buddhism, any person who has awakened from the "sleep of ignorance" (by directly realizing the true nature of reality), without instruction, and teaches it to others is called a Buddha, while those who achieve realisations but do not teach others are called Pratyekabuddhas. All traditional Buddhists agree that Shakyamuni or Gotama Buddha was not the only Buddha: it is generally taught that there have been many past Buddhas and that there will be future Buddhas too. If a person achieves this awakening, he or she is called an arahant. Siddhartha Gautama, the Buddha, is thus only one among other buddhas before or after him. His teachings are oriented toward the attainment of this kind of awakening, also called liberation, or Nirvana. Part of the teachings ascribed to the Buddha regarding the holy life and the goal of liberation is constituted by the "The Four Noble Truths", which focus on dukkha, a term that refers to suffering or the unhappiness ultimately characteristic of unawakened, worldly life. The Four Noble Truths regarding suffering state what is its nature, its cause, its cessation, and the way leading to its cessation. This way to the cessation of suffering is called "The Noble Eightfold Path", which is one of the fundamentals of Buddhist virtuous or moral life. Numerous distinct groups have developed since the passing of the Buddha, with diverse teachings that vary widely in practice, philosophical emphasis, and culture. However, there are certain doctrines that are common to the majority of schools and traditions in Buddhism, though only Theravada regards all of them as central. Few valid generalizations are possible about all Buddhists. Bodhi (Pāli and Sanskrit बॊधि, lit. awakening) is a term applied in Buddhism to the experience of Awakening of Arahants, including Buddhas. When used in a generic sense, a buddha is generally considered to be a person who discovers the true nature of reality through (lifetimes of) spiritual cultivation, investigation of the various religious practices of his time, and meditation. This transformational discovery is called Bodhi, which literally means "awakening", but is more commonly called "enlightenment". In Early Buddhism, Bodhi carries a meaning synonymous to Nirvana, using only some different metaphors to describe the experience, which implied the extinction of raga (greed), dosa (hate) and moha (delusion). In the later school of Mahayana Buddhism, the status of nirvana was downgraded, coming to refer only to the extinction of greed and hate, implying that delusion was still present in one who attained Nirvana, and that one needed the additional and higher attainment of Bodhi to eradicate delusion. The result is that according to Mahayana Buddhism, the Arahant attains Nirvana but not Bodhi, thus still being subject to delusion, while the Bodhisattva attains Bodhi. In Theravada Buddhism, Bodhi and Nirvana carry the same meaning, that of being freed from craving, hate and delusion. The Arahant according to Theravada doctrine, has thus overcome greed, hatred, and delusion, attaining Bodhi. In Theravada Buddhism, the extinction of only greed and hatred, while a residue of delusion remains, is called Anagami. : birth, suffering, death and rebirth, and attains the "highest happiness" (Nirvana, as described in the Dhammapada). Belief in self (ātmān, Pāli attā) has also been extinguished as part of the eradication of delusion, and Bodhi thus implies understanding of anattā (Sanskrit: Anatman). Some Mahayana sources contain the idea that a bodhisattva, which in other Mahayana sources and Theravada is someone on the path to Buddhahood, deliberately refrains from becoming a Buddha in order to help others. According to a saying in one of the Mahayana sutras, if a person does not aim for Bodhi, one lives one's life like a preoccupied child playing with toys in a house that is burning to the ground. It is often described as the practice of non-extremism; a path of moderation away from the extremes of self-indulgence and opposing self-mortification. It also refers to taking a middle ground between certain metaphysical views, e.g. that things ultimately either exist or do not exist. An explanation of the state of nirvana and perfect enlightenment where all dualities fuse and cease to exist as separate entities (see Seongcheol). Acknowledging the Four Noble Truths and making the first step in the Noble Eightfold Path requires taking refuge, as the foundation of one's religious practice, in Buddhism's Three Jewels (Sanskrit: त्रिरत्न Triratna or रत्नत्रय Ratna-traya, Pali: तिरतन Tiratana). Tibetan Buddhism sometimes adds a fourth refuge, in the lama. The person who chooses the bodhisattva path makes a vow/pledge. This is considered the ultimate expression of compassion in Buddhism. The Buddha (i.e.,Awakened One). This is a title for those who attained Awakening similar to the Buddha and helped others to attain it. See also the Tathāgata and Śākyamuni Buddha. The Buddha could also be represented as the wisdom that understands Dharma, and in this regard the Buddha represents the perfect wisdom that sees reality in its true form. The Dharma: The teachings or law as expounded by the Buddha. Dharma also means the law of nature based on behavior of a person and its consequences to be experienced (action and reaction). It can also (especially in Mahayana Buddhism) connote the ultimate and sustaining Reality which is inseverable from the Buddha. The Sangha: This term literally means "group" or "congregation," but when it is used in Buddhist teaching the word refers to one of two very specific kinds of groups: either the community of Buddhist monastics (bhikkhus and bhikkhunis), or the community of people who have attained at least the first stage of Awakening (Sotapanna (pali)—one who has entered the stream to enlightenment). According to some modern Buddhists, it also consists of laymen and laywomen, the caretakers of the monks, those who have accepted parts of the monastic code but who have not been ordained as monks or nuns. (Buddhist Order of monks) provides a refuge by preserving the authentic teachings of the Buddha and providing further examples that the truth of the Buddha's teachings is attainable. In the Mahayana, the Buddha tends not to be viewed as merely human, but as the earthly projection of a being beyond the range and reach of thought. Moreover, in certain Mahayana sutras, the Buddha, Dharma and Sangha are viewed essentially as One: all three are seen as the eternal Buddha himself. Many Buddhists believe that there is no otherworldly salvation from one's karma. The suffering caused by the karmic effects of previous thoughts, words and deeds can be alleviated by following the Noble Eightfold Path, although the Buddha of some Mahayana sutras, such as the Lotus Sutra, the Angulimaliya Sutra and the Nirvana Sutra, also teaches that powerful sutras such as the above-named can, through the very act of their being heard or recited, wholly expunge great swathes of negative karma. According to the scriptures, the Buddha taught that in life there exists Dukkha, which is in essence sorrow/suffering, that is caused by desire and it can be brought to cessation by following the Noble Eightfold Path (Sanskrit: Āryāṣṭāṅgamārgaḥ , Pāli: Ariyo Aṭṭhaṅgiko Maggo). This teaching is called the Catvāry Āryasatyāni (Pali: Cattāri Ariyasaccāni), or the "Four Noble Truths". According to the scriptures, the Four Noble Truths were among the topics of the first sermon given by the Buddha after his enlightenment, is that these are an advanced teaching for those who are ready for them. The Mahayana position is that they are a preliminary teaching for people not yet ready for the higher and more expansive Mahayana teachings. The Noble Eightfold Path is the way to the cessation of suffering, the fourth part of the Four Noble Truths. This is divided into three sections: Śīla (which concerns wholesome physical actions), Samadhi (which concerns the meditative concentration of the mind) and Prajñā (which concerns spiritual insight into the true nature of all things). The word samyak means "perfect". There are a number of ways to interpret the Eightfold Path. On one hand, the Eightfold Path is spoken of as being a progressive series of stages through which the practitioner moves, the culmination of one leading to the beginning of another, whereas others see the states of the 'Path' as requiring simultaneous development. It is also common to categorize the Eightfold Path into prajñā (Pāli paññā, wisdom), śīla (Pāli sīla, virtuous behavior) and samādhi (concentration). Śīla (Sanskrit) or sīla (Pāli) is usually translated into English as "virtuous behavior", "morality", "ethics" or "precept". It is an action committed through the body, speech, or mind, and involves an intentional effort. It is one of the three practices (sila, samadhi, and panya) and the second pāramitā. It refers to moral purity of thought, word, and deed. The four conditions of śīla are chastity, calmness, quiet, and extinguishment, i.e. no longer being susceptible to perturbation by the passions. Śīla is the foundation of Samadhi/Bhāvana (Meditative cultivation) or mind cultivation. Keeping the precepts promotes not only the peace of mind of the cultivator, which is internally, but also peace in the community, which is externally. According to the Law of Kamma, keeping the precepts are meritorious and it acts as causes which would bring about peaceful and happy effects. Keeping these precepts keeps the cultivator from rebirth in the four woeful realms of existence. Śīla refers to overall (principles of) ethical behavior. There are several levels of sila, which correspond to 'basic morality' (five precepts), 'basic morality with asceticism' (eight precepts), 'novice monkhood' (ten precepts) and 'monkhood' (Vinaya or Patimokkha). Lay people generally undertake to live by the five precepts which are common to all Buddhist schools. If they wish, they can choose to undertake the eight precepts, which have some additional precepts of basic asceticism. 7. To refrain from dancing, using jewelery, going to shows, etc. Vinaya is the specific moral code for monks. It includes the Patimokkha, a set of 227 rules in the Theravadin recension. The precise content of the vinayapitaka (scriptures on Vinaya) differ slightly according to different schools, and different schools or subschools set different standards for the degree of adherence to Vinaya. Novice-monks use the ten precepts, which are the basic precepts for monastics. In Eastern Buddhism, there is also a distinctive Vinaya and ethics contained within the Mahayana Brahmajala Sutra (not to be confused with the Pali text of that name) for Bodhisattvas, where, for example, the eating of meat is frowned upon and vegetarianism is actively encouraged (see vegetarianism in Buddhism). Samatha Meditation starts from being mindful of an object or idea, which is expanded to one's body, mind and entire surroundings, leading to a state of total concentration and tranquility (jhāna) There are many variations in the style of meditation, from sitting cross-legged or kneeling to chanting or walking. The most common method of meditation is to concentrate on one's breath, because this practice can lead to both samatha and vipassana. (Pāli nibbāna). When one is in jñāna, it is nibbāna, albeit only temporary because in these states, all defilements are suppressed. Only prajñā or vipassana eradicates the defilements completely. Jhanas are also resting states which arahants abide in order to rest. , through its revelation of the true nature of all things as dukkha (unsatisfactory), anicca (impermanence) and anatta (devoid of self). Prajñā is also listed as the sixth of the six pāramitās of the Mahayana. Initially, prajñā is attained at a conceptual level by means of listening to sermons (dharma talks), reading, studying and sometimes reciting Buddhist texts and engaging in discourse. The Buddha taught dharma to his disciples mainly through the mean of discourse or sermon, many attaining nirvana upon hearing the Buddha's discourse. Once the conceptual understanding is attained, it is applied to daily life so that each Buddhist can verify the truth of the Buddha's teaching at a practical level. Lastly, one engages in insight (vipassanā, Sanskrit vipaśyanā) meditation to attain such wisdom at intuitive level. It should be noted that one could theoretically attain nirvana at any point of practice, while listening to a sermon, while conducting business of daily life or while in meditation. According to the scriptures, in his lifetime, the Buddha refused to answer several philosophical questions. On issues such as whether the world is eternal or non-eternal, finite or infinite, unity or separation of the body and the self, complete inexistence of a person after nirvana and then death etc, the Buddha had remained silent. One explanation for this is that such questions distract from practical activity for realizing enlightenment. Another is that such questions assume the reality of world/self/person. In the Pali Canon and numerous Mahayana sutras and Tantras, the Buddha stresses that Dharma (Truth) cannot truly be understood with the ordinary rational mind or logic: Reality transcends all worldly concepts. The "prajna-paramita" sutras have this as one of their major themes. What is urged is study, mental and moral self-cultivation, faith in and veneration of the sutras, which are as fingers pointing to the moon of Truth, but then to let go of ratiocination and to experience direct entry into Liberation itself. The Buddha in the self-styled "Uttara-Tantra", the Mahaparinirvana Sutra, insists that, while pondering upon Dharma is vital, one must then relinquish fixation on words and letters, as these are utterly divorced from Liberation and the Buddha. 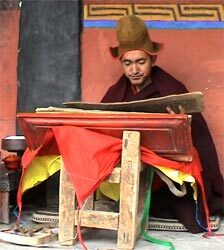 The Tantra entitled the "All-Creating King" (Kunjed Gyalpo Tantra) also emphasises how Buddhic Truth lies beyond the range of thought and is ultimately mysterious. The Supreme Buddha, Samantabhadra, states there: "The mind of perfect purity ... is beyond thinking and inexplicable ...." Also later, the famous Indian Buddhist yogi and teacher mahasiddha Tilopa discouraged any intellectual activity in his 6 words of advice. Buddhist scholars have produced a prodigious quantity of intellectual theories, philosophies and world view concepts. See e.g. Abhidharma, Buddhist philosophy and Reality in Buddhism. Some schools of Buddhism discourage doctrinal study, but most regard it as having a place, at least for some people at some stages. It must be remembered that these developments are not always consecutive. 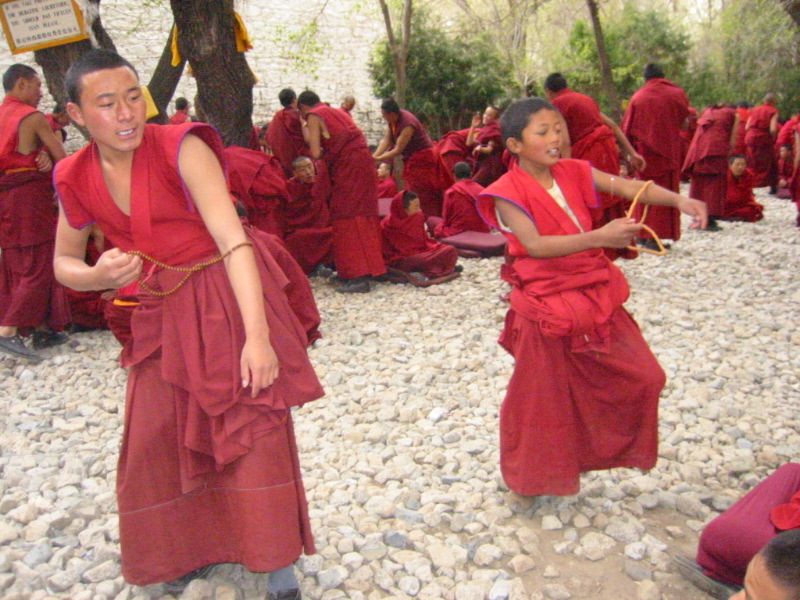 For example, the early schools continued to exist alongside Mahayana. Indeed, some scholars have argued that Mahayana remained marginal for centuries. 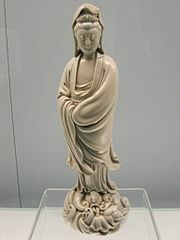 The term Early Buddhism can be applied to both Pre-sectarian Buddhism and the Buddhism of the Early Buddhist Schools. The earliest phase of Buddhism (pre-sectarian Buddhism) recognized by nearly all scholars (the main exception is Dr Gregory Schopen,) is based on a comparison of the Pali Canon with surviving portions of other early canons. Its main scriptures are the Vinaya Pitaka and the four principal Nikayas or Agamas. Various scholars have stated that parts of the contents of the Pali Canon can (probably) be attributed to Gautama Buddha. The central teachings can be classified under the following three headings. Rebirth has no discernible beginning, and takes place in a variety of types of life, later formally classified as the Five or Six Realms. The karma of good and bad deeds produces "rewards" and "punishments" either in this life or in a subsequent one. These may be either rebirths themselves or events therein. The content of bad deeds and the lower types of good deeds belongs to the subject of Sila or conduct. Higher rebirths can be attained by the practice of forms of meditation later classified as samatha or samadhi. Some, particularly in Japan, have maintained a theory of an original Buddhism based mainly on the Sutta Nipata, which they consider the earliest scripture. The late Professor Nakamura summarized its main differences from the phase above in the following eight points. (Pāli: parinibbāna, "complete extinguishment") of the Buddha, the first Buddhist council was held. As with any ancient Indian tradition, transmission of teaching was done orally. The primary purpose of the assembly was to collectively recite the teaching to ensure that no errors occur in oral transmission. In the first council, Ānanda, a cousin of the Buddha and his personal attendant, was called upon to recite the discourses (sūtras, Pāli suttas) of the Buddha, and, according to some sources, the abhidhamma. Upāli, another disciple, recited the monastic rules (Vinaya). Scholars regard the traditional accounts of the council as greatly exaggerated if not entirely fictitious. As the Saṅgha gradually grew over the next century a dispute arose regarding ten points of discipline. A Second Buddhist Council (said in the scriptures to have taken place 100 years after the Buddha's death) was held to resolve the points of dispute. The result was that all the monks agreed that those 10 practices were unallowed according to Vinaya. According to most scholars, at some period after the Second Council however, the Sangha began to break into separate factions. (Schopen suggests that Buddhism was very diverse from the beginning and became less so.) The various accounts differ as to when the actual schisms occurred: according to the Dipavamsa of the Pali tradition, they started immediately after the Second Council; the Puggalavada tradition places it in 137 AN; the Sarvastivada tradition of Vasumitra says it was in the time of Asoka; and the Mahasanghika tradition places it much later, nearly 100 BCE. The Asokan edicts, our only contemporary sources, state that 'the Sangha has been made unified'. This may refer to a dispute such as that described in the account of the Third Buddhist Council at Pataliputta. This concerns the expulsion of non-Buddhist heretics from the Sangha, and does not speak of a schism. However, the late Professor Hirakawa argued that the first schism occurred after the death of Asoka. These schisms occurred within the traditions of Early Buddhism, at a time when the Mahāyāna movement either did not exist at all, or only existed as a current of thought not yet identified with a separate school. The root schism was between the Sthaviras and the Mahāsāṅghikas. The fortunate survival of accounts from both sides of the dispute reveals disparate traditions. The Sthavira group offers two quite distinct reasons for the schism. The Dipavamsa of the Theravāda says that the losing party in the Second Council dispute broke away in protest and formed the Mahasanghika. This contradicts the Mahasanghikas' own vinaya, which shows them as on the same, winning side. On the other hand, the northern lineages, including the Sarvastivada and Puggalavada (both branches of the ancient Sthaviras) attribute the Mahāsāṅghika schism to the '5 points' that erode the status of the arahant. For their part, the Mahāsāṅghikas argued that the Sthaviras were trying to expand the Vinaya; they may also have challenged what they perceived to be excessive claims or inhumanly high criteria for Arhatship. Both parties, therefore, appealed to tradition. The Sthaviras gave rise to several schools, one of which was the Theravāda school. Originally, these schisms were caused by disputes over vinaya, and monks following different schools of thought seem to have lived happily together in the same monasteries, but eventually, by about 100 CE if not earlier, schisms were being caused by doctrinal disagreements too. Following (or leading up to) the schisms, each Saṅgha started to accumulate an Abhidharma, a collection of philosophical texts. Early sources for these probably existed in the time of the Buddha as simple lists. However, as time went on and Buddhism spread further, the (perceived) teachings of the Buddha were formalized in a more systematic manner in a new Pitaka: the Abhidhamma Pitaka. Some modern academics refer to it as Abhidhamma Buddhism. Interestingly, in the opinion of some scholars, the Mahasanghika school did not have an Abhidhamma Pitaka, which agrees with their statement that they did not want to add to the Buddha's teachings. But according to Chinese pilgrims Fa Xian (5th century CE) and Yuan Chwang (Xuanzang, 7th century CE), they had procured a copy of Abhidhamma which belonged to the Mahasanghika School. Buddhism may have spread only slowly in India until the time of the Mauryan emperor Aśoka the Great, who was a public supporter of the religion. The support of Aśoka and his descendants led to the construction of more Buddhist religious memorials (stūpas) and to efforts to spread Buddhism throughout the enlarged Maurya empire and even into neighboring lands – particularly to the Iranian-speaking regions of Afghanistan and Central Asia, beyond the Mauryas' northwest border, and to the island of Sri Lanka south of India. These two missions, in opposite directions, would ultimately lead, in the first case to the spread of Buddhism into China, and in the second case, to the emergence of Theravāda Buddhism and its spread from Sri Lanka to the coastal lands of Southeast Asia. This period marks the first known spread of Buddhism beyond India. According to the edicts of Aśoka, emissaries were sent to various countries west of India in order to spread "Dhamma", particularly in eastern provinces of the neighboring Seleucid Empire, and even farther to Hellenistic kingdoms of the Mediterranean. This led, a century later, to the emergence of Greek-speaking Buddhist monarchs in the Indo-Greek Kingdom, and to the development of the Greco-Buddhist art of Gandhāra. During this period Buddhism was exposed to a variety of influences, from Persian and Greek civilization, and from changing trends in non-Buddhist Indian religions – themselves influenced by Buddhism. It is a matter of disagreement among scholars whether or not these emissaries were, or were accompanied by Buddhist missionaries. The precise geographical origins of Mahayana are unknown. 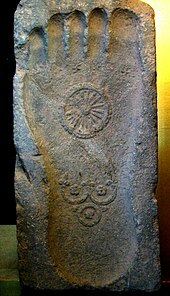 It is likely that various elements of Mahayana developed independently from the 1st century BCE onwards, initially within several small individual communities, in areas to the north-west within the Kushan Empire (within present-day northern Pakistan), and in areas within the Shatavahana Empire, including Amaravati to the south-east (in present-day Andhra Pradesh), to the west around the port of Bharukaccha (present-day Bharuch, a town near Bombay), and around the various cave complexes, such as Ajanta and Karli (in present-day Gujarat and Maharashtra). Some scholars have argued that Mahayana was a movement of lay Buddhists focused around stupa devotion. Pictures within the wall of a stupa representing the story of the Buddha and his previous reincarnation as a bodisattva were used to preach Buddhism to the masses. Other scholar reject this theory. The Sangha, at the same time, became increasingly fragmented both in terms of Abhidharma and Vinaya practice. The Mahayana movement, on the other hand, was ecumenical, reflecting a wide range of influence from various sects. Monks representing different philosophical orientations could live in the same Sangha as long as they practiced the same Vinaya. Still, in terms of Abhidharma, the Sarvastivada school and the Dharmaguptaka school, both of which were widespread in the Kushan Empire, seem to have had major influence. Mahayana Buddhism generally regards as its most important teaching the path of the bodhisattva. This already existed as a possibility in earlier Buddhism, as it still does in Theravada today, but the Mahayana gave it an increasing emphasis, eventually saying everyone should follow it. Around 100 CE, the Kushan emperor Kanishka is said to have convened what many western scholars call the fourth Buddhist council. This council is not recognised by the Theravada line of Buddhism. According to Mahayana sources, this council did not simply rely on the original Tripitaka. Instead, a set of new scriptures, mostly notably, the Lotus Sutra, an early version of the Heart Sutra and the Amitabha Sutra were approved, as well as fundamental principles of doctrine based around the concept of salvation for all beings (hence Mahāyāna "great vehicle") and the concept of Buddhas and bodhisattvas who embody the indwelling yet transcendent Buddha-nature who strive to achieve such a goal. However, most western scholars believe this council was purely Sarvastivada, while the late Monseigneur Professor Lamotte considered it entirely fictitious. The new scriptures were first written in Buddhist Hybrid Sanskrit or one of the Prakrits. From that point on, and in the space of a few centuries, Mahayana would spread from India to Southeast Asia, and towards the north to Central Asia and then east to China where Mahayana was Sinicized and this Sinicized Mahayana would be passed on to Korea, Vietnam and finally to Japan in 538 CE. The East Asians would go on to write more indigenous sutras and commentaries to the Mahayana Canon. sūtras. Completely repudiating the then-and-there-dominant Sarvāstivāda school, which argued for the existence of dharmas (factors of existence) in past, present, and future, Nāgārjuna asserted that the nature of the dharmas (hence the enlightenment) to be śūnya (void or empty), bringing together other key Buddhist doctrines, particularly anātman (no-self) and pratītyasamutpāda (dependent origination). His school of thought is known as the Madhyamaka. and were adapted into the Yogācāra (Sanskrit: yoga practice) school. While the Madhyamaka school asserted that there is no ultimately real thing, the Yogācāra school asserts that only the mind is ultimately existent. These two schools of thought, in opposition or synthesis, form the basis of subsequent Mahāyāna theology in the Indo-Tibetan tradition. There are differing views as to just when Vajrayāna and its tantric practice started. In the Tibetan tradition, it is claimed that the historical Śākyamuni Buddha taught tantra, but as these are esoteric teachings, they were written down long after the Buddha's other teachings. Nālandā University became a center for the development of Vajrayāna theory and continued as the source of leading-edge Vajrayāna practices up through the 11th century. These practices, scriptures and theory were transmitted to China, Tibet, Indochina and Southeast Asia. China generally received Indian transmission up to the 11th century including tantric practice, while a vast amount of what is considered to be Tibetan Buddhism (Vajrayāna) stems from the late (9th–12th century) Nālandā tradition. Although it continued to in surrounding countries, over the centuries Buddhism gradually declined in India and it was virtually extinct there by the time of the British conquest. Chinese Mahayana Buddhist monk lighting incense in a Beijing temple. All accept the Middle Way, Dependent origination, the Four Noble Truths and the Noble Eightfold Path, in theory, though in practice these have little or no importance in some traditions. All accept that both the members of the laity and of the Sangha can pursue the path toward enlightenment (bodhi). All consider Buddhahood to be the highest attainment. Theravāda ("Doctrine of the Elders") is the oldest surviving Buddhist school. This school is derived from the Vibhajjavāda grouping which emerged amongst the older Sthavira group at the time of the Third Buddhist Council (c. 250 BCE). This school gradually declined on the Indian subcontinent, but its branch in Sri Lanka and South East Asia continues to survive. The Theravada school bases its practice and doctrine exclusively on the Pāli Canon and its commentaries. After being orally transmitted for four centuries, its scriptures, the Pali Canon, were finally committed to writing between 35 and 32 BCE,in Sri Lanka, at what the Theravada reckon as the fourth council. It is also one of the first Buddhist schools to commit the complete set of its canon into writing. The Sutta collections and Vinaya texts of the Pāli Canon (and the corresponding texts in other versions of the Tripitaka), are generally considered by modern scholars to be the earliest Buddhist literature, and they are accepted as authentic in every branch of Buddhism. Theravada promotes the concept of Vibhajjavada (Pali), literally "Teaching of Analysis". This doctrine says that insight must come from the aspirant's experience, critical investigation, and reasoning instead of by blind faith. Theravāda teaches one to encourage wholesome states of mind, avoid unwholesome states of mind, and to train the mind in meditation. The experience of suffering is caused by mental defilements like greed, aversion and delusion. The goal is liberation (or freedom) from suffering, according to the Four Noble Truths. This is attained in the achievement of Nibbana, or Unbinding which also ends the repeated cycle of birth, old age, sickness and death. Theravāda is primarily practiced today in Sri Lanka, Myanmar, Laos, Thailand, Cambodia as well as small portions of China, Vietnam, Malaysia and Bangladesh. It has a growing presence in Europe and America. Mahayana (";Great Vehicle") is an inclusive, cosmically-dimensioned faith characterized by the adoption of additional texts, seen as ultimately transcending the Pali suttas, and a shift in the understanding of Buddhism. It goes beyond the traditional early Buddhist orientation of release from individual suffering (dukkha) and the striving for personal emancipation characteristic of the arhats, to a vow to liberate all beings without exception from suffering and with an attendant elevation of the Buddha to a God-like status as an eternal, omnipresent, all-knowing liberational being. Mahayana is further typified by a pantheon of quasi-divine Bodhisattvas devoting themselves to personal excellence for the sake of rescuing others from suffering. The quest of the Bodhisattvas is for ultimate Buddhic knowledge so as to be able to effect the salvation of all humanity (and indeed all living beings, including animals, ghosts and gods). The Mahayana branch emphasizes infinite, universal compassion (maha-karuna) or the selfless, ultra-altruistic quest of the Bodhisattva to attain the "Awakened Mind" (bodhicitta) of Buddhahood so as to have the fullest possible knowledge of how most effectively to lead all sentient beings into Nirvana. Emphasis is also often placed on the notions of Emptiness (shunyata), perfected spiritual insight (prajnaparamita) and Buddha-nature (the deathless tathagatagarbha, or Buddhic Essence, inherent in all beings and creatures). The teaching of the tathagatagarbha is said by the Buddha in the tathagatagarbha sutras to constitute the "absolutely final culmination" of his Dharma—the highest presentation of Truth. The Mahayana can also on occasion communicate a vision of the Buddha or Dharma which amounts to mysticism and gives expression to a form of mentalist panentheism (God in Buddhism). In addition to the Tripitaka scriptures, which (within Mahayana) are viewed as valid but only provisional or basic, Mahayana schools recognize all or part of a genre of Mahayana scriptures. Some of these sutras became for Mahayanists a manifestation of the Buddha himself, and faith in and veneration of those texts are stated in some sutras (e.g. the Lotus Sutra and the Mahaparinirvana Sutra) to lay the foundations for the later attainment of Buddhahood itself. Mahayana Buddhism shows a great deal of doctrinal variation and development over time, and even more variation in terms of practice. While there is much agreement on general principles, there is disagreement over which texts are more authoritative. Native Eastern Buddhism is practiced today in China, Japan, Korea, Singapore, parts of Russia and most of Vietnam. The Buddhism practiced in Tibet, the Himalayan regions, and Mongolia is also Mahayana in origin, but will be discussed below under the heading of Northern Buddhism. There are a variety of strands in Eastern Buddhism, which in most of this area are fused into a single unified form of Buddhism. However, in Japan they form separate denominations. The five major ones are the following. Ch'an (Chinese) or Zen (Japanese) Buddhism (whose name is derived from the Sanskrit term, dhyana - "meditation") is a form of Buddhism that became strong in China and Japan and that lays special emphasis on meditation. Charles S. Prebish writes (in his Historical Dictionary of Buddhism, Sri Satguru Publications, Delhi, 1993, p. 287): "Although a variety of Zen 'schools' developed in Japan, they all emphasize Zen as a teaching that does not depend on sacred texts, that provides the potential for direct realization, that the realization attained is none other than the Buddha nature possessed by each sentient being ...". Zen places less emphasis on scriptures than some other forms of Buddhism and prefers to focus on direct spiritual breakthroughs to Truth. Zen Buddhism is divided into two main schools: Rinzai and Soto, the former greatly favouring the use in meditation of the koan (meditative riddle or puzzle) as a device for spiritual break-through, and the latter (while certainly employing koans) focussing more on shikantaza or "just sitting". Prebish comments (op. cit., p. 244): "It presumes that sitting in meditation itself (i.e. zazen) is an expression of Buddha nature." The method is to detach the mind from conceptual modes of thinking and perceive Reality directly. Speaking of Zen in general, Buddhist scholar Stephen Hodge writes (Zen Masterclass, Godsfield Press, 2002, pp. 12–13): "... practitioners of Zen believe that Enlightenment, the awakening of the Buddha-mind or Buddha-nature, is our natural state, but has been covered over by layers of negative emotions and distorted thoughts. According to this view, Enlightenment is not something that we must acquire a bit at a time, but a state that can occur instantly when we cut through the dense veil of mental and emotional obscurations." Zen Buddhist teaching is often full of paradox, in order to loosen the grip of the ego and to facilitate the penetration into the realm of the True Self or Formless Self, which is equated with the Buddha himself (Critical Sermons on the Zen Tradition, Hisamatsu Shin'ichi, Palgrave Macmillan, New York, 2002, passim). Commenting on Rinzai Zen and its Chinese founder, Linji, Hisamatsu states: "Linji indicates our true way of being in such direct expressions as 'True Person' and 'True Self'. It is independent of words or letters and transmitted apart from scriptural teaching. Buddhism doesn't really need scriptures. It is just our direct awakening to Self ..." (Hisamatsu, op. cit., p. 46). This method of self-exertion or "self-power" - without reliance on an external force or being - stands in contrast to another major form of Buddhism, "Pure Land", which is characterised by utmost trust in the salvific "other-power" of Amida Buddha. Pure Land Buddhism (sometimes called Shin Buddhism) is a very widespread and perhaps the most faith-orientated manifestation of Buddhism and centres upon the conviction that faith in Amitabha Buddha and the chanting of his name will provide the spiritual energy that will liberate one at death into the "happy land" (sukhavati) or "pure land" of Amitabha (also called Amida) Buddha . This Buddhic realm is variously construed as a foretaste of Nirvana, or as essentially Nirvana itself. The great vow of Amitabha Buddha to rescue all beings from samsaric suffering is viewed within Pure Land Buddhism as universally efficacious, if only people will have faith in the power of that limitless great Vow, or will utter the liberational chant of Amida's name. Though thoroughly based upon Mahāyāna, Tibeto-Mongolian Buddhism is sometimes characterized as Vajrayāna or "Diamond Vehicle" (also referred to as Mantrayāna, Tantrayāna, Tantric Buddhism, or esoteric Buddhism). It therefore accepts all the basic concepts of Mahāyāna, but also includes a vast array of spiritual techniques designed to enhance Buddhist practice. One component of the Vajrayāna is harnessing psycho-physical energy as a means of developing profoundly powerful states of concentration and awareness. These profound states are in turn to be used as an efficient path to Buddhahood. Using these techniques, it is claimed that a practitioner can achieve Buddhahood in one lifetime, or even as little as three years. In addition to the Mahāyāna scriptures, Vajrayāna Buddhists recognise a large body of Buddhist Tantras, some of which are also included in Chinese and Japanese collections of Buddhist literature, and versions of a few even in the Pali Canon. According to the scriptures, soon after the death of the Buddha, the first Buddhist council was held; a monk named Mahākāśyapa (Pāli: Mahākassapa) presided. The goal of the council was to record the Buddha's sayings—sūtras (Sanskrit) or suttas (Pāli)—and codify monastic rules (Vinaya). Ānanda, the Buddha's personal attendant, was called upon to recite the discourses of the Buddha, and according to some sources the abhidhamma, and Upāli, another disciple, recited the rules of the Vinaya. These became the basis of the Tripitaka. However, this record was initially transmitted orally in form of chanting, and was committed to text in a much later period. Both the sūtras and the Vinaya of every Buddhist school contain a wide variety of elements including discourses on the Dharma, commentaries on other teachings, cosmological and cosmogonical texts, stories of the Buddha's previous lives, and lists relating to various subjects. The Theravāda and other Early Buddhist Schools traditionally believe that the texts of their canon contain the actual words of the Buddha. The Theravāda canon, also known as the Pāli Canon after the language it was written in, contains some four million words. Other texts, such as the Mahāyāna sūtras, are also considered by some to be the word of the Buddha, but supposedly either were transmitted in secret, or via lineages of mythical beings (such as the nāgas), or came directly from other Buddhas or bodhisattvas. Some six hundred Mahāyāna sutras have survived in Sanskrit or in Chinese or Tibetan translations. Whereas the Theravādins adhere solely to the Pali canon and its commentaries, the adherents of Mahāyāna accept both the agamas and the Mahāyāna sūtras as authentic and valid teachings of the Buddha, designed for different types of persons and different levels of spiritual penetration. For the Theravādins, however, the Mahayana sūtras are works of poetic fiction, not the words of the Buddha himself. The Theravadins are confident that the Pali canon represents the full and final statement by the Buddha of his Dhamma—and nothing more is truly needed beyond that. Anything added which claims to be the word of the Buddha and yet is not found in the Canon or its commentaries is treated with extreme caution if not outright rejection by Theravada. For the Mahāyānists, in contrast, the āgamas do indeed contain basic, foundational, and, therefore, relatively weighty pronouncements of the Buddha, but from the Mahayana standpoint the Mahāyāna sutras articulate the Buddha's higher, more advanced and deeper doctrines, reserved for those who follow the bodhisattva path. That path is explained to be built upon the motivation to achieve not only personal liberation, but Buddhahood itself in order to know how best to liberate all living beings from unhappiness. Hence the name Mahāyāna (lit., the Great Vehicle), which has room for both the general masses of sentient beings and those who are more developed. The "Great" of "Maha-yana" is indeed typical of much of this version of Buddhism—from the physical bigness (lengthiness) of some of the Mahayana sutras and the vastness of the Bodhisattva vow (to strive for all future time to help free all other persons and creatures from pain), to the (in some sutras and Tantras) final attainment of the Buddha's "Great Self" (mahatman) in the sphere of "Great Nirvana" (mahanirvana). For Theravadins and many scholars, however, the self-proclaimed "greatness" of the Mahayana Sutras does not make them a true account of the life and teachings of Gautama Buddha. Unlike many religions, Buddhism has no single central text that is universally referred to by all traditions. However, scholars have referred to the Vinaya Pitaka and the first four Nikayas of the Sutta Pitaka as the common core of all Buddhist traditions. The size and complexity of the Buddhist canons have been seen by some (including Buddhist social reformer Babasaheb Ambedkar) as presenting barriers to the wider understanding of Buddhist philosophy. Dwight Goddard collected a sample of Buddhist scriptures, with the emphasis on Zen—along with other classics of Eastern philosophy, such as the Tao Te Ching—into his Buddhist Bible in the 1920s. More recently, Dr. Babasaheb Ambedkar attempted to create a single, combined document of Buddhist principles with his “The Buddha and His Dhamma”. Other such efforts have persisted to the present day, but currently there is no single text widely accepted as being central to all Buddhist traditions. Wikisource has the text of the 1911 Encyclopædia Britannica article Buddhism. Berzin, Alexander (November 2001). "Historical Sketch of Buddhism and Islam in Afghanistan". Berzin Archives. http://www.berzinarchives.com/islam/history_afghanistan_buddhism.html. Cousins, L. S. (1996). "The Dating of the Historical Buddha: A Review Article". Journal of the Royal Asiatic Society Series 3 (6.1): 57-63. Retrieved on 2007-7-11. Davidson, Ronald M. (2003). Indian Esoteric Buddhism: A Social History of the Tantric Movement. New York: Columbia University Press. ISBN 0231126190. Gombrich, Richard (ed. ); Heinz Bechert (ed.) (1984). The World of Buddhism. Thames & Hudson. Harvey, Peter (1990). An Introduction to Buddhism: Teachings, History and Practices. Cambridge University Press. ISBN 0-52-131333-3. Lamotte, Étienne (trans. to French) (1976). Teaching of Vimalakirti. trans. Sara Boin. London: Pali Text Society. pp. XCIII. ISBN 0710085400. Skilton, Andrew (1997). A Concise History of Buddhism. Windhorse Publications. ISBN 0904766926. http://books.google.com/books?id=GEKd4iqH3C0C&dq=history+of+buddhism. Armstrong, Karen (2001). Buddha. Penguin Books. pp. 187. ISBN 0-14-303436-7. Juergensmeyer, Mark (2006). The Oxford Handbook of Global Religions. Oxford Handbooks in Religion and Theology. Oxford University Press. ISBN 978-0195137989. Robinson, Richard H., and Johnson, Willard L. (1982). The Buddhist Religion: A Historical Introduction. Wadsworth Publishing. ISBN 0-534-01027-X. Sinha, H.P. (1993). Bhāratīya Darshan kī rūprekhā (Features of Indian Philosophy). Motilal Banarasidas Publ.. ISBN 81-208-2144-0. Smith, Huston; Phillip Novak (2003). Buddhism: A Concise Introduction. HarperSanFrancisco. ISBN 978-0060730673. White, Kenneth (2005), The Role of Bodhicitta in Buddhist Enlightenment Including a Translation into English of Bodhicitta-sastra, Benkemmitsu-nikyoron, and Sammaya-kaijo, The Edwin Mellen Press ISBN 0-7734-5985-5. Yamamoto, Kosho (translation), revised and edited by Dr. Tony Page. The Mahayana Mahaparinirvana Sutra. (Nirvana Publications 1999-2000). Wei, Wei Wu,"Why Lazarus Laughed: The Essential Doctrine Zen-Advaita-Tantra", Routledge and Kegan Paul Ltd., London, 1960. ^ see, for example, [[Schools of Buddhism|]]; regarding Buddhism and philosophy, see [[Buddhism and psychology|]]. ^ For instance, see the [[Ashoka|]] determined that Lumbini was the Buddha's birthplace and thus installed a pillar there with the inscription: "... this is where the Buddha, sage of the Śākyas, was born." ^ http://buddhism.about.com/library/blbudlifesights2.htm The Life of the Buddha: The Four Sights "On the first visit he encountered an old man. On the next excursion he encountered a sick man. On his third excursion, he encountered a corpse being carried to cremation. Such sights brought home to him the prevalence of suffering in the world and that he too was subject to old age, sickness and death...on his fourth excursion, however, he encountered a holy man or sadhu, apparently content and at peace with the world." This page uses content from the English language Wikipedia. The original content was at Buddhism ‎. The list of authors can be seen in the page history. As with this Familypedia wiki, the content of Wikipedia is available under the Creative Commons License.